A tribute to the life and legacy of extraordinary teen Carley Allison. Not long ago, seventeen-year-old Carley Allison had it all. She was on the edge of fame as a singer and composer. She was reaching for the highest levels as a competitive skater. She had a new boyfriend and a golden future waiting after graduation. Her world came crashing down when she was diagnosed with a rare kind of cancer in her throat. Her case, doctors said, was one in 3.5 billion. Faced with an uncertain new future, Carley rose to the challenge. Cancer treatment tested her, but she remained fearless and strong. Carley died before her twenty-first birthday, but her memory lives on in the countless people she touched with her courage. Bestselling author Alice Kuipers weaves their stories with the blog Carley kept in the final months of her life. These many voices — plus plenty of Carley’s texts and photos — show her transformation from ordinary to extraordinary, and convey her personal rules for living well in the worst of times. 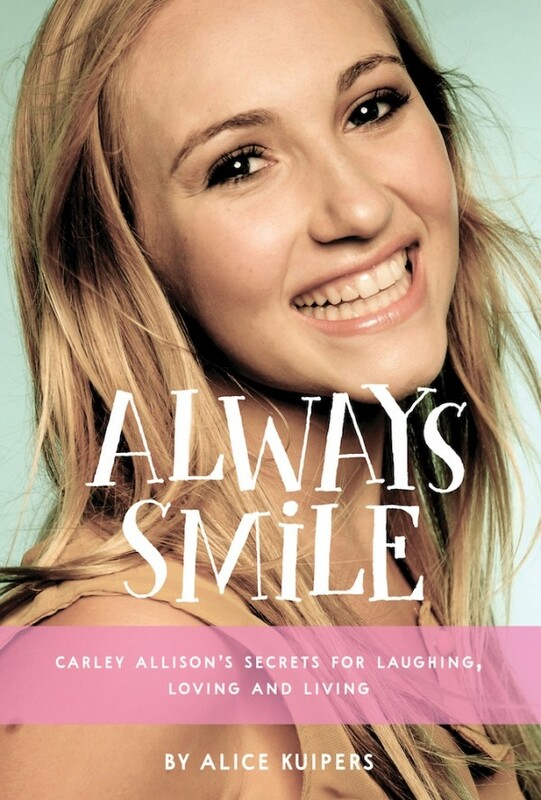 20 winners will each receive a first edition hardcover copy of ALWAYS SMILE. I know this book will make me cry but I want to read!